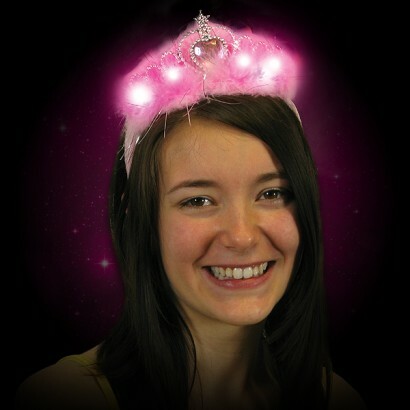 Crown yourself party princess with a sparkling tiara lit with super bright white LEDs! The perfect party accessory, super soft flashing tiara's finish your party look with extra sparkle as the tiara displays a regal purple heart shaped gem that sits in a bed of super soft pink feathery fluff for extra glam factor. 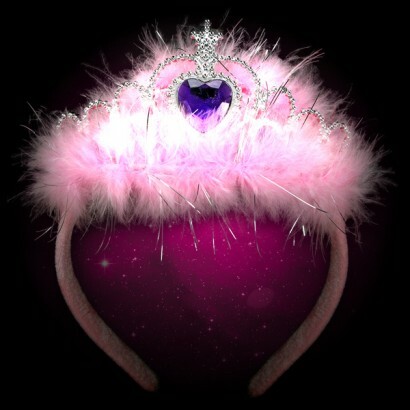 Add bright white flashing LEDs and you have an eye catching tiara that will be loved by princesses young and older!